Let’s face it! 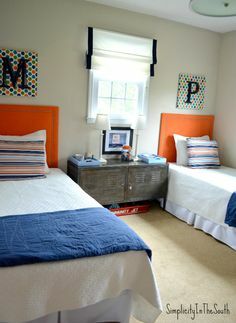 It can be a daunting task trying to create a shared bedroom for your kids given the unique needs, tastes and preferences of every kid. Shared bedrooms also come with a beehive of activity which introduces unique styling, storage and space challenges. Below are some great tips to consider to help you overcome common design challenges as well as create a great and fully functional shared bedroom for your kids. 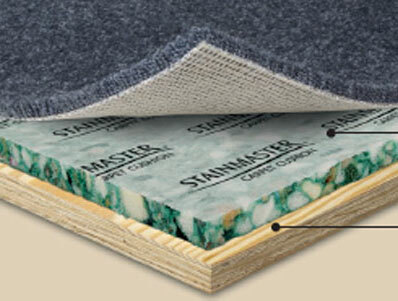 Start by choosing the color palettes for the room’s walls, rugs and furniture. When doing this, settle for gender-neutral colors i.e. turquoise and white, white and grey or a mixture of primary colors. If your son and daughter are old enough to state their color preferences, consider their input. To complement color palettes perfectly, layer complementary colors/patters on top. For instance, accent the room with yellow accessories if you choose grey and white colors. In regards to patterns, consider stripes, chevron as well as solids featuring large geometric shapes. After selecting your preferred color palettes, you can proceed and select furniture. You should consider non-themed furniture featuring clean lines. Avoid sleeping beauty or race car beds. Pair furniture with neutral colored essentials like window treatments and lamps but remember to match these design elements with your kids’ personalities. Personalize wall art, coat hooks, lighting etc. For instance, marquee lights featuring the names or initials of your kids will add some excitement and energy into the space. You should also add gender specific themes subtly with a few accessories but keep colors coordinated. For instance, when accessorizing using red, try a red fire engine pillow for him and a red flower or heart pillow for her. Storage compartments should complement the design scheme, however, be gender specific i.e. yellow for her and charcoal for him. In case you are trying to accommodate kids with different ages i.e. 3 year old John and a 4-month old Jenny, here are some important steps to consider to accommodate them perfectly. If you’ve just had a baby, chances are you’ll be entering and leaving the room frequently when attending to your baby. As a result, you need to get large obstacles such as furniture out of the way. If possible, beds should be on opposite walls or corners with your baby’s crib nearest to the door. Although structural elements like heaters and windows can dictate otherwise, your design objective should be making sure furniture doesn’t get in the way of functionality and the comfort for your kids. Getting rid of obstacles shouldn’t be mistaken to mean getting rid of everything including a play area. Your kids should have a play area they can both enjoy. Include things like cushions, floor mates and soft larger items i.e. tents and rocking horses to create a perfect playing area outline that is fun for your kids. Remember to make sure your older child’s toys aren’t easily accessible to your younger child. You can do this perfectly by creating a lower and upper storage shelf for your kids’ toys. Also, don’t forget to create a warm family atmosphere in the play area that encourages your kids to play with each other. You can include family photos, framed hand prints etc. to achieve this goal. Creating twice as much storage space for a single room is undoubtedly one of the most notable challenges about designing a shared room. One of the best ways of creating additional storage space while keeping the room as spacious as possible is selecting streamlined furniture. Bunk beds are great if your kids are old enough because they are usually streamlined and they feature built-in storage space underneath. Rollaway drawers can also come in handy especially when you want additional storage space for storing limited use or seasonal items. A wall unit featuring drawers and doubling up as a desk and dresser can also come in handy when creating additional storage space. Shelving is a great option when you want to create adequate space for toys. Placement is equally important. For instance, you should consider placing a bookshelf right at the foot of a bed if it doesn’t take up a lot of valuable wall space. Doing this can give you additional space to place a lamp. When creating additional space for clothing, you can install additional rods to allow double hanging. Wall and door hooks can also come in handy for daily-use items. The above information summarizes everything you need to know about creating a perfect shared room for your daughter and son regardless of their age. If you focus on being resourceful, fun, creative and efficient, you shouldn’t have a problem creating a shared bedroom that your kids will cherish. Adding color to your lavatory is an easy way of transforming it into a space of your dream. Although neutral shades are the most common picks for the bathrooms, that does not limit you from personalizing your washroom the way you want. The following 10 tips can help you add color to your bathroom design while in the same breath, leaving it put together. Painting any space is the easiest and most efficient way of adding color. When it comes to painting your bathroom, it’s imperative that you use bathroom paint as it is harder and mold resistant. Once you pick the shade that you want, you can effortlessly build the rest of your space’s color scheme around it. If adding color to the whole area doesn’t rhyme with your preferences, you can consider painting one of the walls. All you need is to decide which wall you would like to make your showpiece such as the one facing directly to the door and paint it. For a more permanent solution, you can go for colorful tiles. You should, however, make sure that you choose a color that you can live with for long. To make your bathroom more modern, consider tiling specific points such as a feature wall, or a shower recess so as to draw attention to a focal point. Most bathroom hardware and accessories are less expensive compared to other color-adding options such as tiling. You can, therefore, choose some embellished hooks, cabinet handles, and taps that come with appealing hues as an alternative. Wall stickers and wallpapers are readily available and come in all colors, sizes, and decorative designs. You could also look for a vibrant wall art that can add a splash of color to your lavatory. Stick these on the walls, mirrors, or even the ceiling. Modern tubs come with stunning shades and choosing one that can bring out a striking image would be great. You could go for the painted porcelain, fiberglass, copper or any other material as long as it has a color that you are going to be in love with. You can choose a few practical items such as towels, robes, baskets or bath toys to help you with the color addition. The good thing is that you can swap them out whenever you feel like as they are relatively inexpensive. Nature is a rich source of color that could be useful in your bathroom. Choose flowers and plants with hues that draw you and especially those that thrive in moist conditions. You can also go for the greenery synthetic items that can add color to your bathroom. Apart from the functional purpose of area rugs and bath mats in lavatories that contain showers or tubs, they help infuse color into spaces. If you choose to add color to your bathroom with them, you only need to select the colors that match with your accent shades. 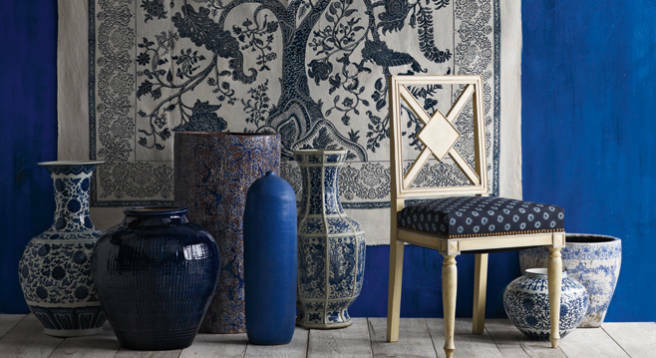 By placing a few décor accessories, you can make your space more enchanting and pulled together. You can consider things like candles, vases, hampers, or even decorative display shelves. With these easy ways of adding color, you can make your bathroom more unique and personalized. Try a few of them and enjoying every minute of your bath will always be a guarantee. The Academy Awards is without a doubt a moment of inspiration when it comes to design, fashion, and luxury living. Every year, Hollywood stars in elegant gowns and sparkling jewellery walk the prestigious red carpet. Lots of people have taken some inspiration from the event and added luxurious style to their home interiors and you too can. In this article, we have compiled a list of 10 tips to help you add Academy Awards flair to your home. A famous red-carpet on which celebrities walk during the event is one of the most glamorous items. Realize that you don’t have to buy a red carpet since there are many other affordable ways you can add that red-carpet accent. Lamp, throw pillows and painting can go a long way. When we think of palettes, we immediately think of purple. There are many different palettes that can bring a Hollywood-glamor to your interior’s decor. Black and white, cool grays, shades of white, and gray of platinum can all do the trick. These shades can add sparkle to any room. Sunny and bright, gold is the perfect palette for adding life to a room. There are a ton of shades and finishes that can give your room an Oscar look when mixed together. Some great ways to add this luxe shade include silk or satin curtains, throw pillows, lamps and metallic wallpaper. There are many ways you can add high-shine finishes and furnishings to your space. There is no limit to what you can add, so add as much sparkle as you want. Some of the finished that can bring the allure of Oscar to your home include mirrors, silk or satin, clear acrylic, velvet and crystal and glass. No Oscar is complete without Faux Fur and Shag. Here, once again, there’s no limit to what you can add. 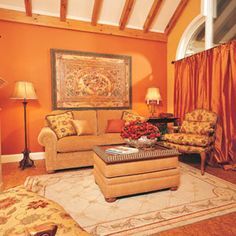 Simply add faux fur and shag using carpets or rugs, throw pillows and a large throw. The look won’t just be luxe, but elegant and inviting. You can never go wrong with curved elements. A series of curved lines can give your room a softer, stylish feel. Curved chairs with rounded arms, oval or round accent tables, a round mirror or carpet and accessories with rounded edges or oval shapes can do the trick. You can also add patterns with repeating or curvy geometry. If you are considering adding Oscar flair to your space, you need to include ornate elements. Always go for pieces with flat, shiny surfaces, not just pieces with texture to them. You can add etched pattern on the mirrored surface; glass or crystal with eye-catching carved texture or any item with a bold pattern. Find a space in your home and put together an incredible modern luxury bar with glass-faced cabinetry, vintage-inspired glasses, or a beverage cooler. If space is not a problem, you can put together a built-in bar. The trick is keeping everything in its proper place. Here you need to replace builder-grade fixtures with nice lamps, sconces or chandeliers. The right lighting will not just add glamour to your space, but also enhance all elements that you have added to your glitzy space. Find a piece of furniture that features tufting or buttons. You don’t have to invest lots of money in tufted bed or sofa to bring Oscar style to your home. Simple things such as a tufted desk chair or ottoman can do. Choose from the elements listed above and bring a Hollywood-glamor to your home. Realise that you don’t have to spend hundreds to achieve Oscar aesthetic. These ideas can also help you throw an Oscar-like party.